SFPA's approach to developing public park policy positions will be nimble, data-driven, collaborative, and informed by input from a Parks Policy Council (PPC) comprised of representatives from each San Francisco district. Formed in 2012, the PPC crafts policy positions and employs advocacy tools to further our mission. It will be broadly inclusive of neighborhood park groups, community leaders, and park activists. 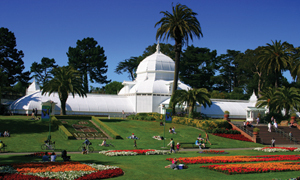 This Committee will develop advocacy and policy directions on issues presented to them by PPC members, SFPA staff, the public, and City agencies, and act as the link to a broader audience of grass-roots park advocates, park groups, and the general public by providing opportunities for facilitated discussions. The Committee will provide the SFPA Executive Director, SFPA staff, and the Board of Directors grounded opinions on policy issues and advocacy priorities. The SFPA Board of Directors will decide positions on significant issues of city-wide importance and long-term impact. The SFPA Executive Director and Director of Policy & Stewardship will guide advocacy interactions with city land managers on day-to-day matters as well as implement adopted policies and practices. Learn more wbou the Parks Policy Council from our FAQ! To apply to be a member of the Parks Policy Council, download, complete and return the application.